History treats groups differently, and that was the case with Deutsch Amerikanische Freundschaft a.k.a. DAF, who released four albums between 1980 and 1982. They’ve been described variously as the “godfathers of techno,” the pioneers of EBM and the forefathers of electropunk. DAF recorded five albums during the four years that they were together, and bowed out in 1982 with their swan-song Für Immer which was recently released by Groenland Records. However, the DAF story began four years earlier in 1978. Gabi Delgado-López and Robert Görl met at the at punk club Ratinger Hof, in Düsseldorf, Germany, in August 1978, where the pair were regulars. Not long after this, the two friends decided to form a band together. This was DAF which initially, was a duo featuring Delgado-López on stylophone and drummer Robert Görl. When DAF started out, they were one of a number of early Neue Deutsche Welle bands that had been formed within their social circle. However, very few of these bands were as influential as DAF. Having started out as a duo, Gabi Delgado-López and Robert Görl were joined by bassist Michael Kemner, guitarist Wolfgang Spelmans and keyboardist Kurt “Pyrolator” Dahlke. This new, expanded lineup of DAF decided to enter the studio for the first time. The early recordings didn’t go to plan, which resulted in Gabi Delgado-López leaving the band temporarily. This meant just four of the members of DAF entered the studio to record their debut album. Ein Produkt der Deutsch-Amerikanischen Freundschaft. This was Ein Produkt der Deutsch-Amerikanischen Freundschaft (A Product Of German-American Friendship for Kurt “Pyrolator” Dahlke’s Ata Tak label. 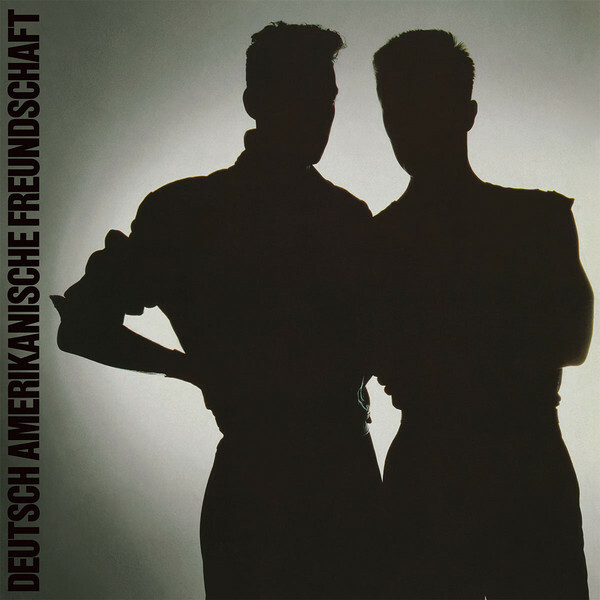 When Ein Produkt der Deutsch-Amerikanischen Freundschaft was released in 1979, this fusion of punk and industrial music received mixed reviews from critics. Some critics confused by the album and simultaneously found captivating and repugnant. There seemed to be no middle ground with DAF’s debut album. Shortly, after the release of Ein Produkt der Deutsch-Amerikanischen Freundschaft was released Kurt “Pyrolator” Dahlke left the band, to pursue other projects. He was replaced by assist and saxophonist Chrislo Haas who also played various electronic instruments. Not long after this, the new lineup of DAF moved to London, as that was where many of the major and independent record labels were situated. This included Daniel Miller’s Mute Records who signed DAF. Die Kleinen und die Bösen. Daniel Miller had a longstanding love and admiration for Krautrock and modern German music, arranged for DAF to record with producer Conny Plank. He produced one side of Die Kleinen und die Bösen while the other was recorded live. 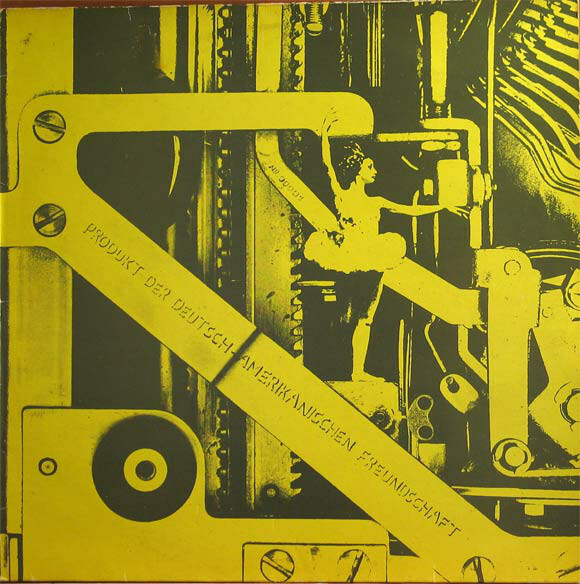 When Die Kleinen und die Bösen was released later in 1980 it was hailed as an ambitious album that saw DAF start to make move from industrial music to modern dance music. However, the sales of Die Kleinen und die Bösen were low and what was one of the early electropunk albums was DAF’s only release for Mute. Following the release of Die Kleinen und die Bösen, DAF’s numbers were reduced, and by the time they signed to Virgin Records, they were a duo featuring Gabi Delgado-López and Robert Görl. For their Virgin Records’ debut, DAF once again headed to Canny Plank’s Studio, where they worked with one of the legends of modern German music between December 1980 and January 1981. The sessions resulted in DAF’s third album Alles Ist Gut which was released later in 1981. Critical acclaim accompanied Alles Ist Gut which was ambitious, innovative and genre-melting album. It was a fusion of Neue Deutsche Well, electronic body music (EBM) and electropunk. Alles Ist Gut reached number eight in Austria, fifteen in Germany where it would eventually sell hundreds of thousands of copies. However, that wasn’t the end of the success. DAF had chosen Der Mussolini as the lead single from Alles Ist Gut. This resulted in the band’s first hit single and DAF were going from strength to strength. Buoyed by the success of Alles Ist Gut, DAF returned to Canny Plank’s Studio in August 1981 and spent two months recording Gold und Liebe. It was completed in September 1981, and scheduled for release in late 1981. The Conny Plank produced Gold und Liebe was released to mixed reviews. One of the criticisms was that the music wasn’t as eclectic as on Alles Ist Gut, and that DAF had just about exhausted the possibilities offered by the sixteen-step sequencer. Still, a few critics felt that the album was innovative and ambitious, as it examined the themes of alchemy. Despite there being no consensus amongst critics, Gold und Liebe enjoyed a degree of commercial success. In Austria, Gold und Liebe reached number four and spent ten weeks in the charts. Meanwhile, Gold und Liebe stalled at thirty-five in the German charts, and failed to replicate the success of Alles Ist Gut. Despite that, 1981 had been a successful year for DAF. At the end of 1981, the British music magazine included Alles Ist Gut in its top ten albums of the year. 1981 had been an important year for DAF, who had released two albums, and made a commercial breakthrough just three years after the band was formed. 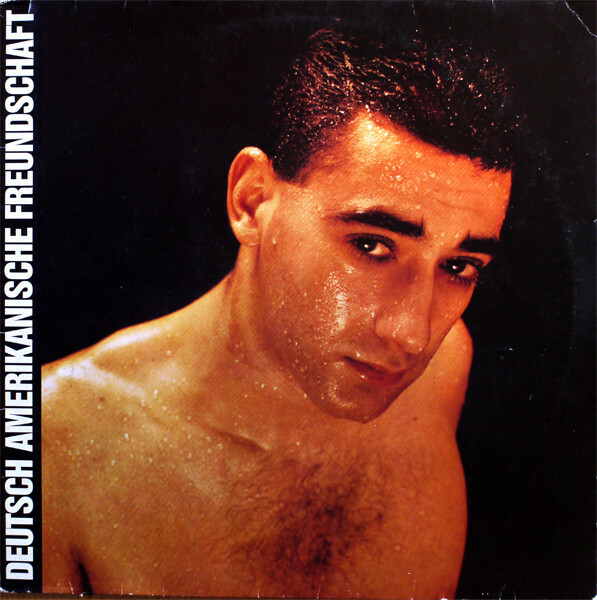 1981 had been a roller coaster year for DAF, who made their commercial breakthrough with Alles Ist Gut, and watched as Gold und Liebe failed to enjoy the same success. Gabi Delgado-López and Robert Görl knew that they needed another successful album to kickstart their career. The criticism that DAF had just about exhausted all of the possibilities offered by the sixteen-step sequencer must have stung, because they added ab Oberheim OB-Xa to their musical arsenal for the recording of Für Immer. Conny Plank who had worked with some of the most innovative musicals of the seventies, including pioneers of Krautrock at one end of the spectrum to electropop artists at the other. The pioneering producer was the perfect person to encourage DAF to expand their musical horizons. 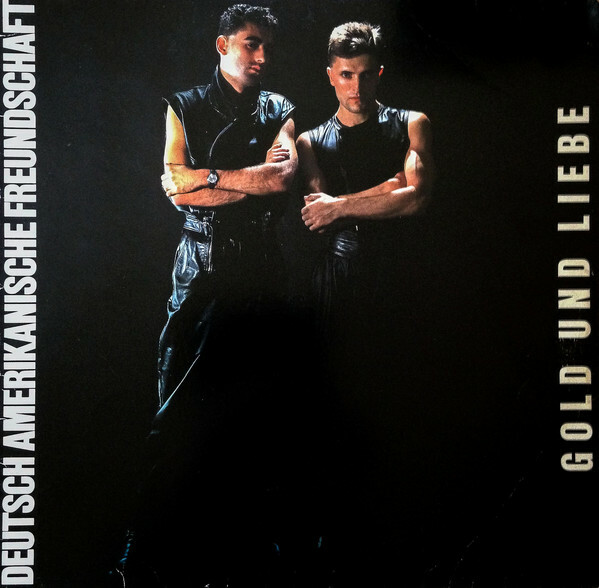 By the time that DAF began work on Für Immer, they were already disillusioned after the reception of Gold und Liebe. At Conny Plank’s Studio in May 1982 DAF began recording what was an ambitious album that was very different from much of the music that had been released during the first half of 1982. The music wasn’t exactly melodic, but couldn’t be described as harsh or brittle as DAF switched between EBM, electropunk, funk, rock ’n’ roll, twisted metal drone and a full-blown dance track on Wer Schön Sein Will Muss Leiden which would later close the album. DAF’s decision to record such an eclectic album seemed to be their way answering their critics who had criticised Gold und Liebe. Soon, though, what the critics thought of Gold und Liebe was the least of DAF and Virgin Records’ worries. The sense of disillusionment that was present when DAF entered Conny Plank’s Studio had been slowly tearing the band apart. Maybe it hadn’t been a wise decision to let DAF begin recording Für Immer, and when things came to a head, the band decided to split-up. After five albums in just three years it was the end of the road for DAF, who released Für Immer later in 1982. DAF’s swan-song was well received as they flitted between EBM, electropunk, funk, rock ’n’ roll and twisted metal drone. It was a truly eclectic album that opened with the Kraftwerk inspired electropop of Im Dschungel Der Liebe (In The Jungle Of Love). However, other tracks were quite different, and some were regarded as dark and controversial songs. Especially Kebabträume which featured ambiguous lyrics about Turkish immigrants. 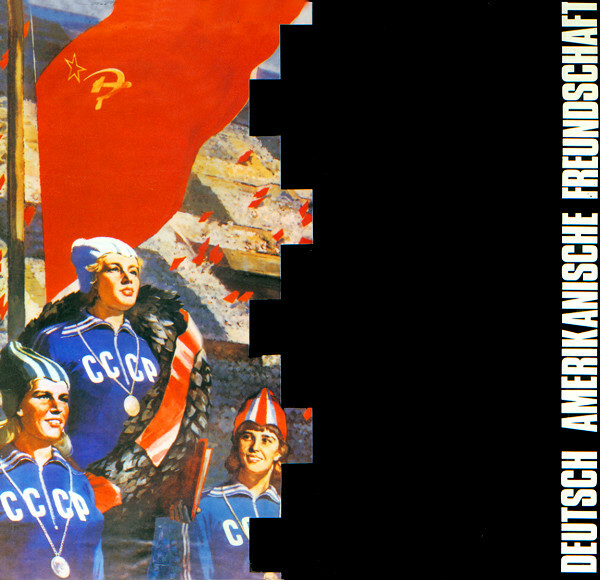 Lyrics like: “Turkish culture behind the barbed wire…Germany, everything has passed!..,We are the Turks of tomorrow” brought criticism DAF’s way. So did Die Götter Sind Weiß which features the lyrics: “your body is white, like the body of the gods.” Even the album cover was deemed controversial, and some critics compared it to the fascistic imagery of the past. DAF it seemed were playing were with fire on Für Immer. Elsewhere was the EBM anthem Ein Bißchen Krie which was hard and funky. Verlieb Dich In Mich (Fall In Love With Me) was hook-laden, dancefloor friendly and sometimes, hinted at Sparks. Geheimnis (Secret) is a genre-melting track that is oft-overlooked and falls into the category of hidden gem. Dark, dramatic and ominous sounding describes Die Lippe (Lip). Very different was the beautiful paean Prinzeßin which shows another side to DAF on Für Immer. However, like most EBM groups DAF returned to familiar themes. This included the themes of health and beauty were more like obsessions to EBM groups. Proof of this is Verehrt euren Haarschnitt (Adore Your Haircut), which features the unforgettable lyrics: “worship your haircut.” Then there’s the album closer Wer Schön Sein Will, Muss Leiden (Who Wants To Be Beautiful, Must Suffer) which is a full-blown dance track that closes Für Immer on a high, and allows DAF to bow out in style. Sadly, when Für Immer was released later in 1982, the album failed to replicate the success of their Virgin Records debut Alles Ist Gut. In fact, it never even came close to enjoying the success of Gold und Liebe. Instead, Für Immer which has just been reissued by Groenland Records was the one that got away for DAF. Despite the darkness, controversy and the obsessions with health and beauty that were common to many EBM groups, Für Immer is an underrated album that deserves to be reevaluated. The recent reissue offers this opportunity to revisit Für Immer, which was the swan-song for DAF who were only together four years, but managed to release five albums. Their finest album was Alles Ist Gut, which was the first of the Virgin Records trilogy which ended with Für Immer. It was the end of era for DAF, who nowadays, are regarded as groundbreaking group. Since they split-up, DAF have variously been described as the “godfathers of techno,” the pioneers of EBM and the forefathers of electropunk. DAF achieved a lot in what was a relatively short space of time. They were founded in 1978, and released their debut album in 1979. This was the first of five albums that DAF recorded over the next three years, before bowing out in style in 1982 with their swan-song Für Immer. ← THE WHO-LIVE AT THE ISLE OF WIGHT VOLUMES 1 AND 2 RECORD STORE DAY 2018 EDITIONS.